Carabooda Lawn has grown and supplied high quality roll-on Lawn in Perth for over 30 years. The Carabooda Lawn turf farm is one of the largest in Perth. Our roll-on lawn is at most of the sporting complexes in Perth. We have most likely supplied and possibly installed turf at the Golf clubs, Schools and Parks and Gardens in your area. Matilda Buffalo – Perth’s #1 Buffalo Grass! Our Matilda Soft Buffalo Roll-on Lawn is an Australian hairless, low allergen and shade tolerant buffalo grass. It is deep green in colour with a dense root system and vigorous growth which inhibits weeds. 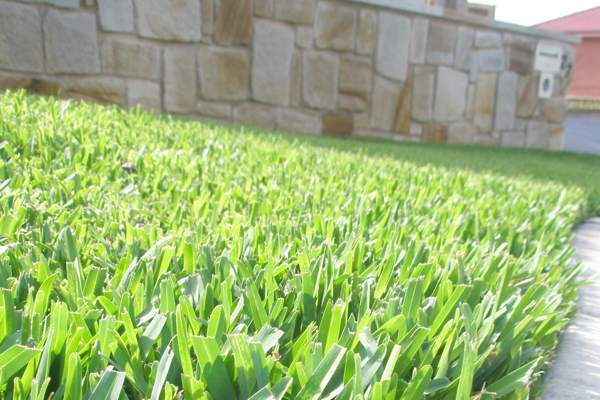 Matilda’s durability and salt tolerance makes it the ideal lawn for pets children, coastal area’s and poolside. Perfect for West Australian homes!